I needed them quick and they shipped them quicker! 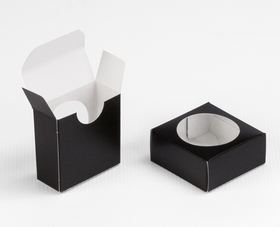 Love these elegant black boxes. I use them for so many different orders. OMG these favor boxes make it pop! 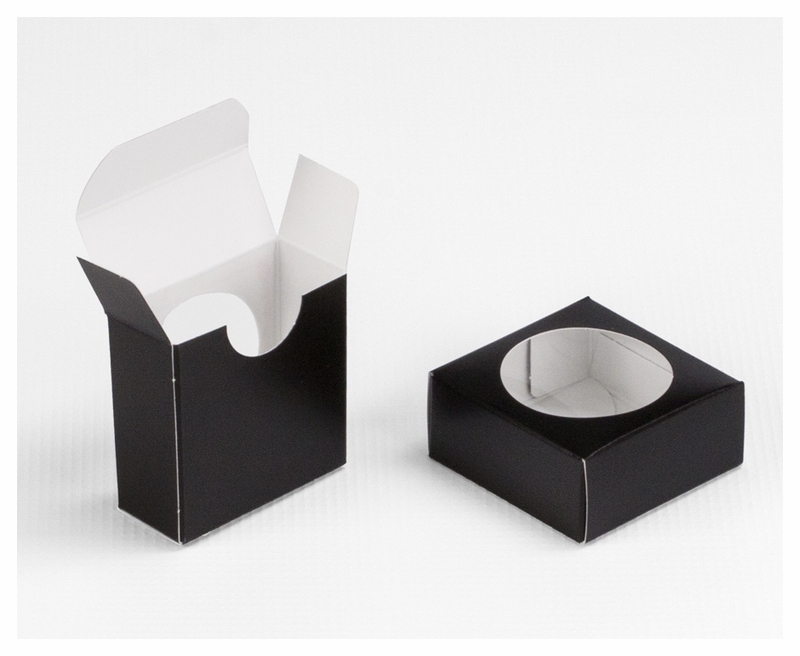 My customer requested the black favor boxes. I was reluctant but once the cookies were in the box they really showcased them beautifully. These boxes make great presentation. I love that they are well made and study and easy to assemble. Customer service waas awesome and I am so very pleased with the products. My clients and I love the colored Oreo boxes. I just wish the two piece boxes came in the same colors as the one piece boxes do, I could sell a lot more that way! Merchant Response:Thank you for your suggestion for more colors in the two count boxes. I will add your request to our Customer Request Log. If we receive enough requests for the same thing, we will consider adding it to our line. Is there a film cover over the window in this box, or is it an open window hole? Thanks. Hi Matt, Yes, every window box we sell has a clear film covering. It's a cellulose-based product made from plants and is recyclable, biodegradable and compostable. Because the material is clear, it doesn't photograph well.